WASHINGTON, DC, November 18, 2010 (ENS) – Eight cities and counties – from Boston to San Francisco – are seeking to protect themselves from climate change by being the first to join the nation’s first comprehensive climate adaptation program for local governments. The pioneering local governments include Boston and Cambridge, Massachusetts; Flagstaff and Tucson, Arizona; Lee County and Miami-Dade County, Florida; Grand Rapids, Michigan; and the San Francisco Bay Conservation and Development Commission. Following the hottest decade on record, global average temperatures are projected to rise four to 11 degrees Fahrenheit over the next century, increasing the problems local governments are already confronting. In Boston, sea level rise has resulted in flooding and erosion. In Cambridge, changing precipitation patterns have brought increased flooding and potential drought periods. Miami-Dade County is experiencing more frequent severe storms, more frequent floods from rising sea levels, and saltwater intrusion into drinking water aquifers. On Florida’s west coast, Lee County is seeing more extreme hot and cold events, increased coastal erosion and major costs for infrastructure, destabilization of aquatic food webs, and increasing occurrence of tropical diseases in plants, wildlife and humans. Grand Rapids faces more frequent extreme heat waves, increased air pollution, more massive snow storms that damage infrastructure and burden city services, as well as economic impacts due to changes in the Great Lakes that affect shipping and commerce. In arid Arizona, Tucson and Flagstaff are dealing with water shortages and more intense drought, landscape transformation due to wildfire and invasive species proliferation, and severe heat waves affecting public health. 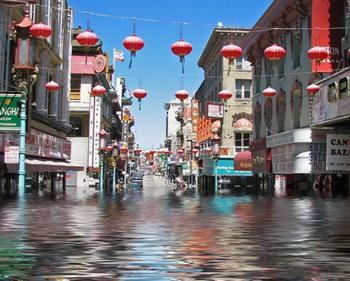 San Francisco anticipates a mid-century sea level rise of 16 inches; and an end of century sea level rise of 55 inches. To help local governments cope, the Climate Resilient Communities Program was developed by ICLEI-Local Governments for Sustainability USA and launched this week. Strategies may include strengthening infrastructure, diversifying water supplies, and planting more vegetation to counteract the urban heat island effect. 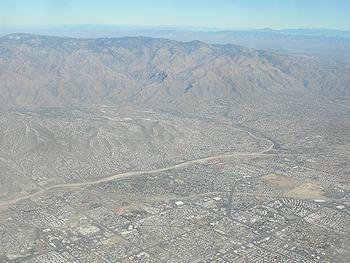 “Local governments have a responsibility to protect people, property, and natural resources, and these leading communities wisely recognize that climate change is happening now, and that they must begin planning for impacts that will only become more severe in the coming decades,” said Martin Chavez, ICLEI USA executive director and former three-term mayor of Albuquerque, New Mexico. The Climate Resilient Communities Program offers the first standardized adaptation planning process for communities, including the advanced Adaptation and Database Planning Tool, or ADAPT. ADAPT walks users through the process of assessing community vulnerabilities, setting resiliency goals, and developing effective strategies that integrate into existing local planning efforts. All of ICLEI USA’s 600 U.S. local government members will receive access to Climate Resilient Communities Program resources, but the eight Inaugural Adaptation Communities will receive additional technical support. On Friday, the San Francisco Bay Conservation and Development Commission announced that its Adapting to Rising Tides Project has been selected to be part of ICLEI’s inaugural national program. The announcement was made at a public hearing on amendments to the San Francisco Bay Plan to update the 21-year-old sea level rise findings and policies and to add a new section in the plan dealing more broadly with climate change and adapting to sea level rise. The policies in the current San Francisco Bay Plan discourage building in shoreline areas that are vulnerable to current or future flooding. The proposed amendments would modify the existing policies to encourage development in suitable low-lying areas and encourage resource enhancement in areas with high natural habitat value. The proposed policies would support small projects, continued in-fill development, redevelopment of closed military bases, remediation of contaminated sites, construction of critical infrastructure, and adaptive use of low-lying areas planned in a manner that addresses the dangers of accelerated sea level rise. The commission says investors and insurers around the world are watching closely what the Bay Area and other low-lying regions are doing to deal with climate change. California Governor Arnold Schwarzenegger issued an executive order in November 2008 directing state agencies to plan for sea level rise and directing the California Natural Resources Agency to develop a statewide adaptation strategy.